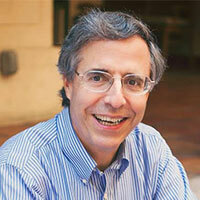 David Deutsch is a world-renown copywriter, creative strategist, author and copywriting coach. His advertising career began at Ogilvy & Mather on Madison Avenue, where he worked with Fortune 500 companies such as Merrill Lynch, General Foods and American Express. Since becoming a direct response fundamentalist, his copy has generated hundreds of millions of dollars for leading direct marketers and entrepreneurs, especially in the areas of investing, health, and info-publishing, including extensive work with Agora and Boardroom (now Bottom Line Publications). Get a FREE special report with more great copywriting advice at www.DavidLDeutsch.com. Why Are You Making Copywriting So HARD?